Ek Brahm - Sarvagun Sampanna tells the story of Jhanvi who is an ideal daughter-in-law for the family but in reality she will be their biggest enemy ..Her real motive will be kept secret for sometime. Read more..
Draconian 14 596 21 minutes ago, by .Biggi. Why are you going to watch the show? 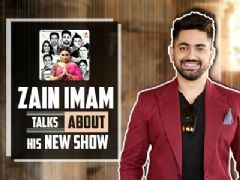 Ek Brahm - Sarvagun Sampann TV Show forum is a very active community of Indian television viewers worldwide discussing Star Plus's Ek Brahm - Sarvagun Sampanna TV Show. Our forum currently has over 13 active discussion topics about the show. And you will also find all the latest Ek Brahm - Sarvagun Sampanna videos, news, cast, synopsis, photo gallery, and much more only on India-Forums.com.